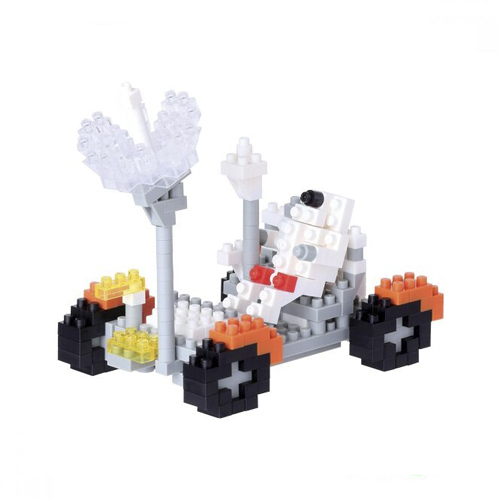 Piece-by-piece, children will use their Nanoblocks to build an impressive 3D Lunar Rover. 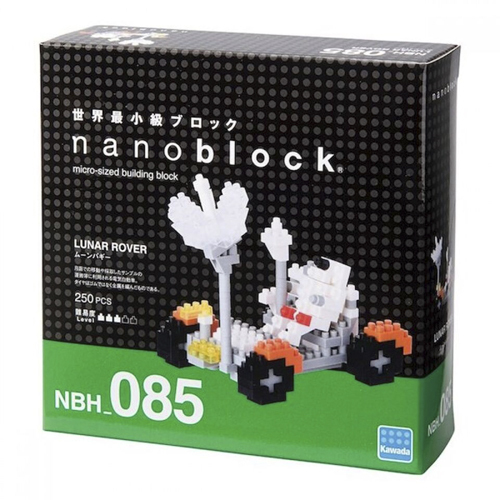 The Nanoblocks Lunar Rover kit consist of hundreds of micro-sized building blocks that let kids build an icon of space with much greater detail. The smallest pieces are a tiny 4mm x 4mm x 5mm. Nanoblocks are fun for families to tackle together or are a great solo project for kids eight and over. The vibrant colored blocks result in realistically detailed conversation starters. Once built they can be displayed anywhere in the house as a reminder of your child’s great work. Let the building begin with Nanoblocks. With between 200-550 blocks, each Nanoblocks Site To See kit takes between 20-60 minutes to complete.